Updated Tuesday January 30, 2018 by Tad Davis. Here is the layout for the fields. 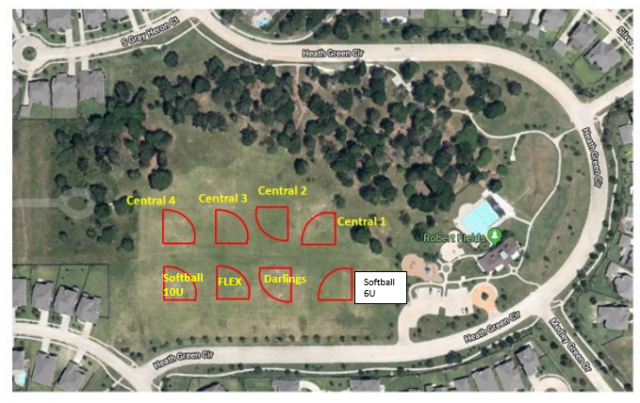 An updated map that shows the Tball field will be added soon.